Welcome to Curves New Plymouth. We are a community of women all working on our health and fitness goals; we'd love you to join us. Please make a no obligation, free appointment and we'll show you around, find out more about you and your goals and explain how we can help you to success. There's always a Curves Coach available to help keep you motivated. Curves offers you a 30 minute workout that strengthens your body, gets you fitter and helps you feel great. It's simple, effective and fun! Our workout targets all your major muscles, gets your heart rate up and burns lots of calories for the time involved. It is tailored for you, the faster you go the harder it is! We also offer Body Basic Circuits which are a fun, class type environemnt focussing on areas of the body such as core, or types of movement such as balance, boxing, cardio and dance. They add great variety and energy to our circuit. We have been in New Plymouth for over 11 years. Whatever your goal you will be constantly supported by well trained, qualified coaches and by exercising with cheerful and friendly like minded women of all ages. We are all aiming to achieve results for fitness, health and wellbeing and independence. We'd love to work with you to help you achieve your goals. We're excited to have been helping strenthgen women in New Plymouth for over 11 years. Our community of women has lost over 2200kg, donated $30,000, 3500kg of food and thousands of toys for local and national charities. Join us for a fun evening walk along the foreshore to raise money for Look Good Feel Better. We encourage you to decorate yourselves in all things bright - flouro gear, fairy lights, glow sticks - and shine as you walk. Let's reclaim the night!! We walk from Curves New Plymouth to Curves Bell Block, which is 10km. 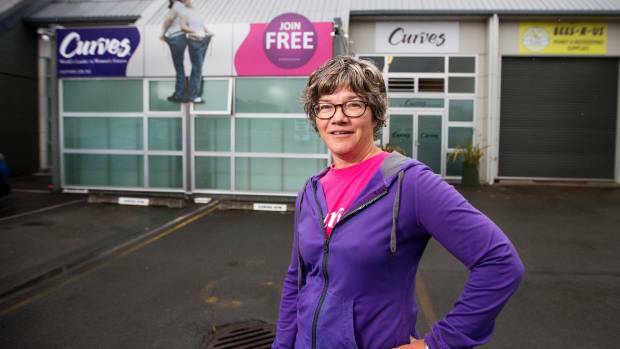 There is also a 5km return option from Curves New Plymouth. It's $5 to join in with all money going to Look Good Feel Better. Please arrange your own transport back from Bell Block (some car pooling can be arranged).